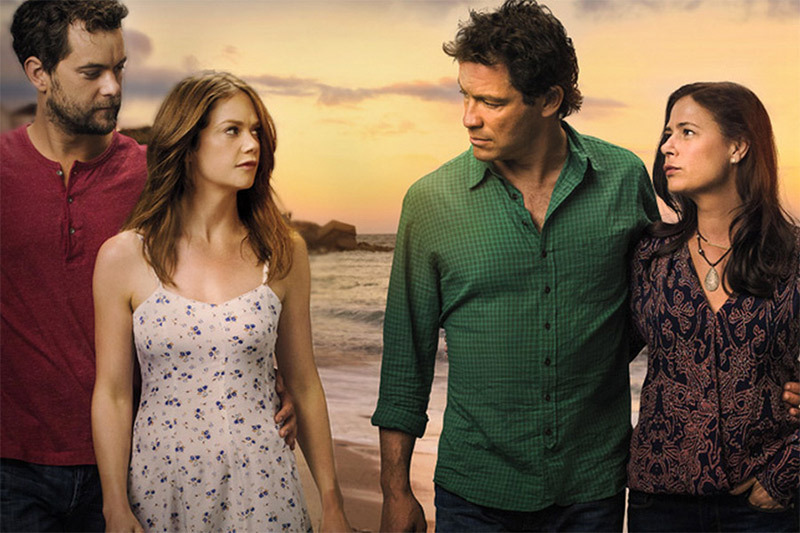 The last television show I watched that made an impact on me would have to be The Affair (on Showtime). I found the show to be gripping, suspenseful and emotionally moving. I sat, riveted, through seasons one and two, and now wait with bated breath for the release of season 3 to find out what will happen between this small handful of main characters and what happens as they all continue to sift through the complicated layers of their relationships to one another. However, the reason I am mentioning the show isn't to review it, and actually, this blog post has nothing to do with that TV show at all. To learn more about the plot line of The Affair, check Google or Amazon.com. The reason I am mentioning this show is because of a specific line delivered by one of the characters mothers, which I thought was a resounding summation of what human relationships really are (and which the majority of us fight against acceptance of, with tooth and nail). This character, a mother, was having a conversation with her daughter during which her daughter asked "why arent you off traveling with Dad?" The mother paused before responding that in fact, he has left her. Her daughter draws a quick intake of breath before telling her mother how sorry she is. Her mother responds with the line, "Dont be. Weve just come to the end of our story." Brilliant. This line is so simple and so honest. I believe its the line that sums up the core truth of all human relationships, (not only romantic ones but one that can also be applied sometimes to friendships as well. But for now lets focus on the romantic). "The end of our story." Die hard romantics, those who are deeply religious, or those who are strict in their traditionalist mindset will find many reasons to disagree with me and fight against this line of reasoning. That is what every romantic relationship is, though. A story. And all stories have a beginning, a middle, and an end. Romantic stories go something like this: Boy meets Girl (or Girl meets Boy). Sparks fly. They begin to date. Hopes are high, hearts aflutter, dreams fill their respective heads, romance runs abound. Texts and emails are saved, the two cannot get enough of one another, wanting to talk every day, see one another as much as possible. Sweet gestures are given, declarations made, vacations taken. They meet one anthers friends, and later on each others families. They may eventually move in together. Children and marriage may or may not follow (assuming it progresses in such a way). Dramas are sprinkled in between all of this loveliness along the way. Arguments, disagreements, tensions will arise at points throughout the relationship. When these variances of drama do occur, they are followed by analytical and in depth discussions and rehashing things out with our nearest and dearest friends. And somewhere along the way, the relationship eventually seems to plateau...peeter out...or come to a close naturally (the last one occurring only if we are brave enough to allow its natural progression, which most of us arent). Things start to feel...off or different. 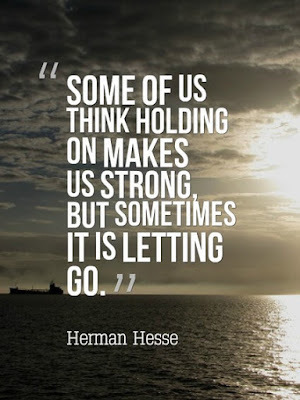 The couple may no longer have the same connection, the same closeness, or they may no longer want the same things, or maybe too many resentments have built, or one has hurt the other too deeply (a straw that broke the camels back so to speak). Whatever the reason, something like that often develops along the way. Yes, of course there are some relationships that genuinely endure, absolutely. I am not trying to say this isn't so. But that is a small number. And when I say "there are some relationships that genuinely endure", I am not referring to couples that simply stay together. Because many couples remain together but arent especially satisfied, happy or close. I am not referring to the act of simply remaining a couple in title, or putting on the act that one is happy or deeply fulfilled when one isn't all that satisfied. I am referring to the number who stay together and are ACTUALLY satisfied, in love and well suited to one another. And this number is small. Its a beautiful number. An inspiring number. But a small one. And the reason that number is so small is because: only one thing is certain in life and that is change. Nothing will ever stay the same, despite us trying desperately to make it so. 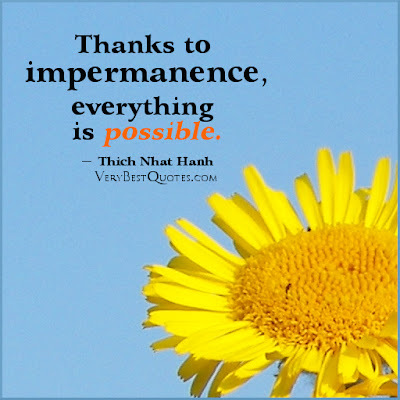 In Buddhist culture, impermanence is the only permanent thing. 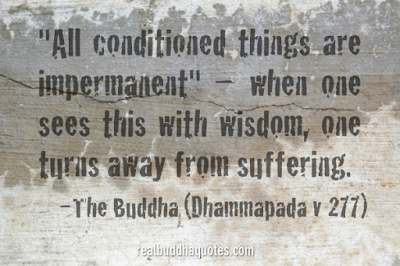 There is a natural progression to things. To life, to relationships, to seasons, etc. 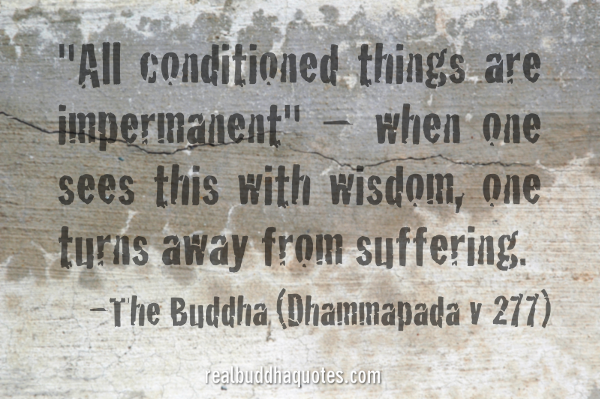 Things grow and bloom, then they wither and eventually come to a close. This is normal. It is natural. It is ok and it is part of life. The rest of us, the ones who cling to a relationship that is no longer right, simply out of history, fear, laziness, security or habit, these are the ones who are fighting tooth and nail the very real apsect of human relationships which is "we have come to the end of our story." Our society has built up incredibly high expectations for both marriages and romantic relationships. Our romantic partner is supposed to fulfill us socially, sexually, financially, and emotionally. Like friendships, our media strongly perpetuates the idea that our longterm romantic relationships should last "forever." We promise to spend our entire life with someone, no matter what. We will be totally sexually and emotionally loyal to them, we will be their emotional support, therapist at times, best friend, and live-in partner. All of these are a lot of really, really tall orders to fill. The intent to love someone deeply and be close to them throughout your life is an honorable one, a special one, a deeply romantic one, and a worthwhile aspiration, no doubt. But for the vast majority of the population, it doesnt end up being totally realistic nor working out that way. People change, they grow apart, their life wants can fork apart and differ, someone might hurt their significant other quite deeply in such a way that cannot be forgiven, a deal breaker might come into play such as children (or not), drug addiction, religion, someone needing or wanting to live in a vastly different part of the world than the other person, etc. Therefore, with all these unpredictable variables (aka Life), its nearly impossible to truly commit the entirety of your life to another person. You just cannot know what will happen down the line. In regards to the line "weve come to the end of our story," this is worthwhile in acknowledging because, if we were able to re-frame our relationships in such a way, they would be aspects of our lives that we would enjoy to the fullest while in them (however long it may last, whether 1 year, 11 years, or 29 years, who knows the duration of each), something you can revel in and learn from while in it, and then whenever it does come to an end, you can allow it to do so naturally, with grace and with bravery rather then clinging to it like a drowning man in the ocean, terrified to let go. If we were able to let go when the time is right (whenever that might be, and if we listen carefully with honesty and courage, our own hearts will tell us when this time is so), we could prevent ourselves from wallowing through immense self torment, fear, wasting years of our lives stuck on something that is no longer right, stress and straddling a fence of uncertainty as time stretches on and on in our short, filled-with-potential, totally wonderful time here on earth. But what if breakups aren’t failures? What if instead of seeing breakups as failures, we saw breakups as a natural and normal part of what it means to be human? What if our intimate relationships don’t exist to survive forever, but instead they exist because they’re teaching us valuable lessons? What if our relationships are meant to be fulfilling, beautiful, learning experiences, something that fills our heart and changes our life, but ultimately something that is very likely a temporary thing (of which the time duration is uncertain). Nobody ever claims that huge transitions in life aren’t supposed to be scary and sometimes painful. But yet breakups are considered embarrassing failures. Breakups will always be heart wrenching and immensely difficult. After all, someone we love dearly is moving out of our lives. They’re a major shake up in our lives, and it’s painful and frightening to see things shift, especially when it’s not a shift you would have considered ideal. But it’s possible that much of the pain of many a breakup is also because of our clinging to the idea that relationships should last a certain amount of time, and that certain things should happen within them (marriage, kids, rings, dogs, house with a picket fence). What if relationships aren’t about this fantasy life, but about joy and experience, about learning, growing, and evolving? And what if breakups mean that both we and our ex-partners are ready to move into another phase of the person we are becoming, sort of like a butterfly leaving the chrysalis? Or simply, that things always change. That nothing will ever remain the same. And that most of us will eventually come to "the end of our story" with many of the people we love. And that this is totally normal, ok and even beautiful in its own way.